Calling All Former Snip.It Users & Future Content Curators! As mentioned in my interview with Scoop.It’s Guillaume Decugis, Scoop.It has been working on a way for those of us abandoned by Snip.It to upload the exported data. Earlier this week, I beta tested the new import feature — and it works quite well! Amazingly, all of my collections uploaded — giving me more collection or topics than Scoop.It previously allowed! And it’s not just for former Snip.It users either now. For the month of February, Scoop.It is “lifting the topic creation limit: for free!” That means, even if you were not a member of Snip.it, whether you were a Scoop.It user or not, you can get an unlimited number of topics to curate at Scoop.It! Step One: If you were a Snip.It user, and haven’t already done so, go here to export and save what you’ve snipped using the “Export To HTML” download button. Step Two: If you are not already a Scoop.It member, join now. Step Three: Once you are a Scoop.It member, contact Ally Greer at Ally@scoop.it. Introduce yourself as a former Snip.It user and request the account option to import Snip.It collections. Step Four: When the option has been activated, login to Scoop.It, use the drop-down menu beneath your name and click on the Settings option. Step Five: In settings, look for the Snip.It Import tab; click it and you’ll see where to upload your Snip.It export file. What’s very cool, is they have progress bars to show you how it’s all going. For those with many collections and thousands of links, it goes faster than you think — especially when you can see that it is working! Pretty easy and fabulous, right? A few of the links, very few percentage wise, did not upload the images. But with Scoop.It, you can always edit your scoop, including uploading your own image. So if that bothers you, you can fix it. 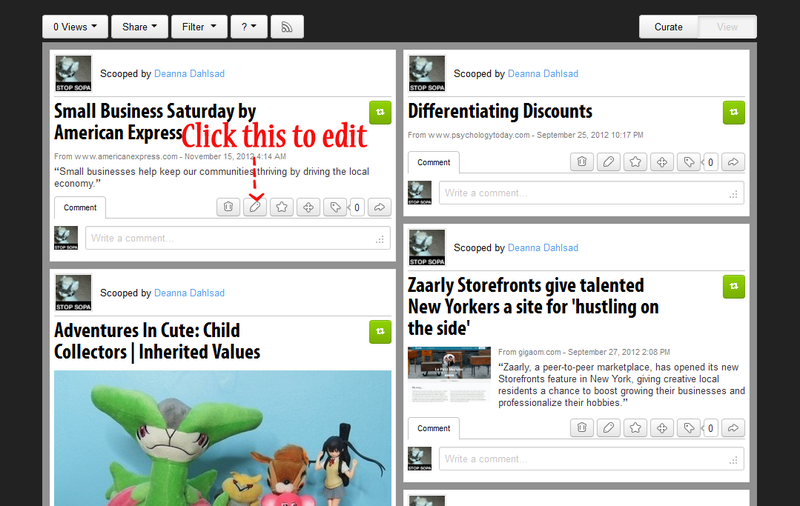 Then the Edit Image button to upload the image. And if you have any problems, contact Ally; she’s always there to help. Really! PS If you are new to curating, don’t have any file to import, or are an existing Scoop.It member who just wants more topics (for free! ), you can still take advantage of the free love at Scoop.It this month. All you have to do is ask for more topics by sending an email to business@scoop.it. Again, details here. I wonder if it will work for my links from Delicious too. I’ve been frustrated with them because the tag words are so messed up on my account. It takes a day or two (for me anyway) to get through and delete all the tags one by one. But then they are all just a mass of links and kind of useless. Anyway, I sent a note to Ally. 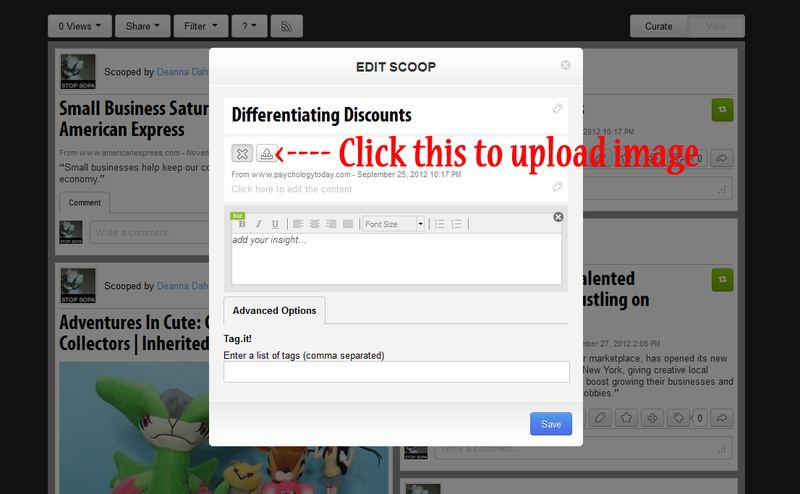 At the very least I would like to import Snip links into relevant Scoop.it categories. I don’t know what will become of the others. I can always open them in a second window and re-post them or just toss them. I had personal interests on Snip, not for everyone.